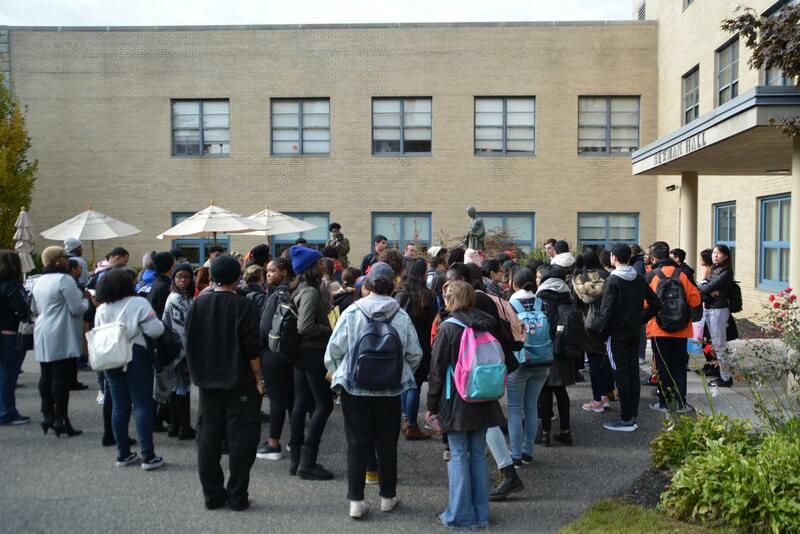 Students gathered for a Love March in October to protest the University’s response on a student’s alleged sexual assault. In 1969, the St. John’s Demonstration Policy was approved by the University Senate, adopted by the Board of Trustees and subsequently filed with the New York State Department of Education. Almost 50 years later, the University says that policy has been revised and updated for the first time to reflect modern standards. Demonstrations have become a vital facet of student expression on campus, occurring somewhat regularly. 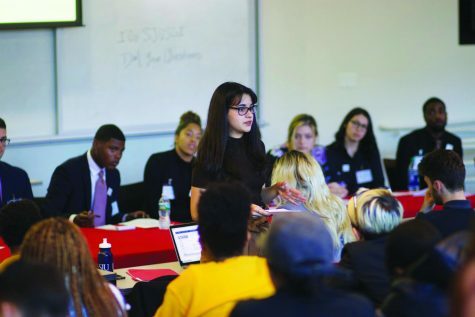 Most recently, in October, a number of organizations, including Spectrum, the Latin American Student Organization (LASO) and the Pan-African Student Coalition, held a demonstration calling for changes to the Title IX process. They said it was sparked by how the University handled an alleged incident of a sexual nature involving a transgender student. 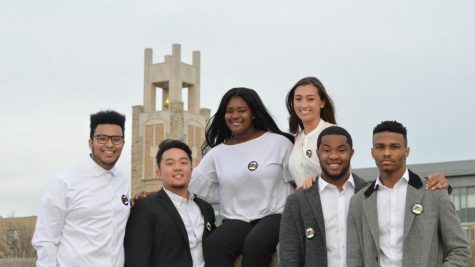 The Torch first learned that changes were coming to the demonstration policy last month when Junior Senator Johnny Wiley revealed the University’s plans at a Student Government meeting. 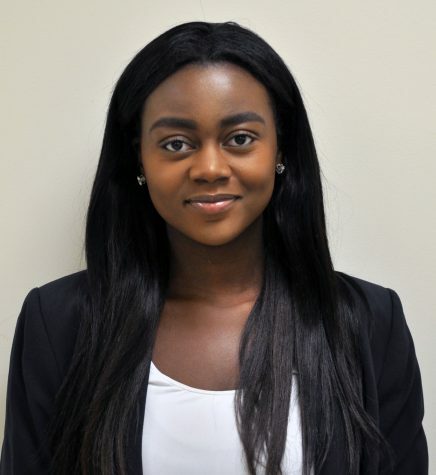 “So basically, Jackie Lochrie along with the university has created a new demonstration policy and I along with members of Spectrum have been asked to give feedback,” Wiley said. A University spokesperson confirmed that the demonstration policy has already undergone the planned facelift. All students who take part in on-campus demonstrations must be enrolled at St. John’s University. Demonstrations may only occur at the time and place that the Dean of Students has signed off on. Students are discouraged to extend the time and spatial width of their demonstrations. Demonstrations may only occur in regards to the topics/issue that the Dean of Students has signed off on. Students are discouraged to pursue otherwise unrelated topics. Students should not threaten or endanger anyone or damage any property during an on campus demonstration. Students should not occupy University property (buildings) without proper authorization from Dean of Students. Students must comply with directives of University officials acting in the performance of their duties. 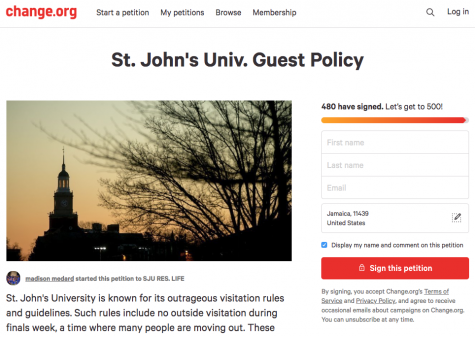 Members of the St. John’s community and other persons occupying property of the university should not disrupt the University community or infringe upon the rights of others. “In addition, the Office of Student Conduct created an online Demonstration Request Form that summarizes the University’s philosophy and explains the current policy and procedure for conducting demonstrations. The online form includes links to the complete Demonstration Policy and our Student Code of Conduct,” Browne said. The Torch reached out to some of the more active organizations on campus — including Feminists Unite, Residents Students Association, Spectrum, LASO, the NAACP, African Students Association, SGI, Black Student Union, Muslim Students Association, Greek Life and Students of Consciousness ­— for comment on the policy changes, but none responded.